What determines the location of a capital? The case study of Beijing, China. Beijing has been the capital of China for centuries. 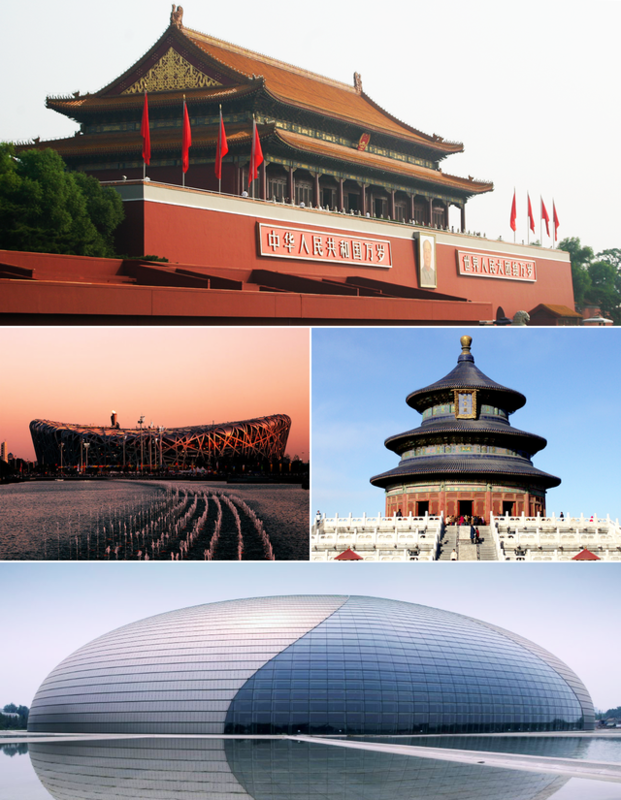 We would like to see how Beijing became and evolved as a capital city under different dynasties that ruled China through a quick rundown of its history. Ancient Chinese civilization is said to have spread from places along the Yellow River, which is the second longest river in China (after the Yangtze River) stretching more than 5,000 km. So, a number of early dynasties set up their capital cities along this river; the Qin dynasty (221 B.C. – 206 B.C. ) in Xianyang, the Han dynasty (202 B.C. – 8 A.D.) in Changan (now Xianyang), the Tang dynasty (618– 907 A.D.) also in Changan. 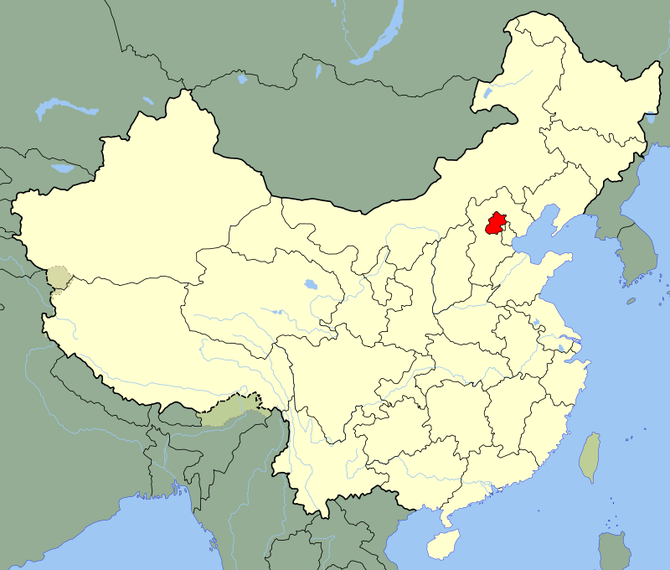 Beijing lies further north east of these places. The first powerful dynasty that erected its capital in Beijing was the Jin (1115– 1234), which managed to control the northern half of China. The Jin family originated from China’s northern area, so it seemed inevitable that they preferred their new capital not too far from their homeland. The Jin dynasty was followed by the Yuan (Mongolian) Dynasty (1271 – 1368), the Ming Dynasty (1368 – 1644), and then the Qing Dynasty (1616 – 1912). Beijing was the capital for each dynasty. It was during the Ming Dynasty that the “Great Wall of China” was finally completed in order to protect the Chinese homeland from invading northern tribes. Ironically, the Ming were destroyed by the mighty cavalry strength of the Qing (northern tribes), who managed to penetrate the Great Wall. Also during the Ming period, the Chinese imperial palace known as the Forbidden City (which remains as a world heritage site today) was constructed. Over centuries, Beijing evolved as a great capital. Included was the implementation of a great canal (a world heritage site also) that stretches some 2,500 km connecting lucrative commercial hubs in the south to Beijing. As to what determined the location of Beijing as a capital, we can understand that it was, more or less, the preference of new dynasties that came from the north. However, we should note that at the latter part of the Qing period, when the country struggled to remain in power while being weakened by the imperialistic ambitions of great powers, a new political movement began and succeeded in establishing a republic in 1912. They chose Nanking(incidentally when written in Chinese characters it literally means the capital in the south) as their capital to pursue their political agenda. By the same token, when the People’s Republic of China was established in 1949, the ruling communist party selected Beijing (written in Chinese characters it means the capital in the north) as their capital. It is interesting to note that both the ancient Chinese and Roman empires faced everlasting invasions from tribes in their north. So, the Chinese built the Great Wall, whereas the Romans relied on the Rhine and Danube to protect their homelands, but in the end both empires fell to these northern tribes who excelled in cavalry power. Before closing, let me talk about the relationship between Japan and China in the old times. In those days, the Chinese emperor was deemed to govern the world, extending their influence through “kowtow diplomacy”, in which neighboring countries were expected to bring tributes in return for token presents from the emperor. This was the essence of sinocentrism. In this way, Japan followed suit and sent missions for more than two centuries during the Sui and Tang periods. After travelling through the hazardous East China Sea, these missions managed to bring back important and valuable scrolls and materials related to Buddhism, Chinese philosophy and culture. Beijing is the second biggest city in China after Shanghai with a population of over 20 million.